"The Container Transportation Industry Has Faced Turbulent Times"
Youredi had the opportunity to speak with an expert of the container logistics industry, Rolf Neise, to discuss the importance of technology in the maritime industry. 1. Please, tell our readers shortly about your background. I am currently working as a lecturer at the International School of Management (ISM), a private university in Hamburg and as a freelance consultant supporting multinational companies to optimize their supply chain management and logistics structures. Prior to that, I was working as the Global Head of Logistics Operations at BAT (British American Tobacco plc. ), in charge of defining Logistics Excellence in the End-to-End Supply Chain. I held a number of operational and strategic roles across the BAT group in Germany and the UK. One of my responsibilities was the management of the logistics processes in maritime transport chains as well as the negotiation of freight rates with carriers. I was one of the first shippers who were invited to participate in carrier-oriented conferences to articulate the shippers’ voice. 2. You just released your new book Container Logistics - The Role of Container in the Supply Chain. Why did you find it important to write it? It is often interesting to observe that the voice of the customers in many industries is not heard. A typical example is the maritime industry. Maritime Container Logistics has been greatly studied from different perspectives, from the carriers’ side, from the ports side or the transportation side. The impact on shippers and how shippers deal with the given challenges in maritime logistics is not yet fully examined. This is the first book on the market illuminating this exciting and game-changing topic of globalization from the end customers’ perspective, the shipper, that entity in the end-2-end Supply Chain which is financing the whole maritime industry. My co-authors and I found it important to describe shippers’ needs and challenges so that every party involved in maritime logistics should gain a better understanding of it with the aim of deeper and more trustful cooperation between all parties. 3. Your book focuses a lot on the importance of technology and the collaboration it could provide for the Maritime Container Transportation Chain (MCTC). How do you see the last 5 years of Container Logistics? Has anything changed? Any exciting initiatives? Where is the industry going in the next 5 years? The global container transportation industry has faced turbulent times, in particular, the container shipping lines. They went through several years of crisis, with falling revenue and declining profit margins mainly driven by record low freight rates as well as weakening global trade. The bankruptcy of Hanjin Shipping in summer 2016, the world’s seventh largest shipping line in those days, which was unexpected by many industry experts, was the temporary culmination of this situation. As a result of this, the industry put all their energy into cost-cutting initiatives such as the development of bigger ships and a consolidation phase through M&A activities as well as the development of new strategic alliances. Further comprehensive transformations that address technical issues with the intense use of IT applications and optimization software as well as organizational adaptations, despite a reduction of headcounts, didn’t occur – I would describe this decade as a decade of lost opportunities. Meanwhile, since 2017 the industry has slightly recovered, the supply and demand situation is more, but not yet fully, balanced, and the average freight rates are increasing. Over the coming five years, experts expect a moderate container demand growth of around 4 percent per annum. The industry must use this up-wind to reposition itself to invest in new IT applications and structures and in state-of-the-art customer service initiatives. They must accept more innovative solutions, where the benefits are often proven in other industries, to meet the future challenges. This will only happen if the mindset in this tradition-oriented industry changes. Many initiatives that are confident have already started, there is more joint-venture capital to finance start-up companies than ever in this industry. To highlight are mainly IT companies, who have developed cloud-based solutions to overcome the obstacles of the antiquated IT systems. Sea freight forwarders, often global logistics providers, are also challenging the market with fresh and innovative ideas, as they have several best practice solutions from other industries available. And even the customers, the shippers are pushing more and more for standards which are existing in other industries for a long time, such as collaborative activities. 4. In the book, there is a chapter on EDI and how it restricts many-to-many communication that would be the key to achieving efficiency, productivity, and visibility. As it says in the book, EDI is not going away anytime soon. What should a company in the MCTC do to overcome their EDI challenges? A big problem in the shipping industry is that the IT systems currently in place are proprietary systems that were developed independently over the past several decades, with different data standards and requirements, and no thought given to interacting with other parties or sharing information beyond the most antiquated of standards, EDI. As a result, there is no common platform for data-sharing, and there has been a significant divergence in technology sophistication across the industry. A big step to increased efficiencies is to add an integration layer, such as a cloud-based data integration solution, to the current systems. This has several benefits such as the sharing of data in real-time internally and externally. Many solutions are offered as a “Software as a Service” (SaaS) business model, where the customer does not need to own or operate additional soft- and hardware. 5. At Youredi, we have seen that shipping lines are realizing the importance of digitalization and integration strategy. How do you see this? Shipping lines are meanwhile realizing the importance of digitalization and integration strategy, and every big carrier is nowadays working on customized solutions. But as long as the industry hasn’t recovered sustainably, there is always a danger that these initiatives are not given the priority they need to have. And when talking about digitalization, we need to consider the overall impact on processes and on organizations – if highest priority is not given to such a strategy, it will fail. Even worse, if the consolidation process continues – and rumors are still around, a lot of initiatives will be stopped or overwritten by other initiatives. 6. You talk a lot about the importance of alliances and acquisitions. What effect does it have on the execution of digitalization strategies? In my view, the importance of alliances and acquisitions has potential benefits as well as drawbacks on the execution of digitalization strategies. A potential benefit is, that as the larger shipping lines are, the better they are in a position to offer more extensive services or to invest more in technology. Via the ever-growing alliances, there is also a significant advantage to drive for standards in the industry. Unfortunately, there is not much happening here. A drawback is for some of the initiatives, as explained before, that, as long as further rumors in the market exist, these initiatives are not given the priority they need to have. 7. Are there any interesting technology providers/technology start-ups that could have a serious impact on container logistics? Can you name them and elaborate on how they could help improve collaboration, efficiency, and profitability? Youredi is definitely amongst them. With their cloud-based iPaas platform B2B integration scenarios can be realized independent of any legacy system. Additional value will be created as Youredi is not only focused on maritime logistics but also on many other logistics service providers, on retail, and on financial services. This is important as best practice solutions from other industries can be adapted and shared. Another example is XVELA, an independent subsidiary of Navis LLC based in Oakland, California. They have leveraged cloud technology to build a collaboration platform. The solution is intended to enable real-time, many-to-many data exchange between terminal operators, shipping lines, and their operational partners. They started with stowage planning and expanded their solution to shipping execution. The way of booking shipments, today often still executed by phone or e-mail, will also dramatically change. An example is Kontainers, a start-up from Newcastle, UK. Kontainers is a door-to-door booking platform for shippers, as well as a real-time tracking platform. A competitor in this field is the American company Flexport based in San Fransico, which also offer additional services, such as air freight, cargo insurance, customs brokerage and inventory financing. Also, Haven, another American start-up based in San Francisco has to be named here. They have built an automated trade technology platform with the goal to increase pricing transparency by combining administrative activities with shippers’ procurement tasks. This is a private marketplace where shippers can compare and purchase shipment capacity from carriers and therefore automate the quoting process. It can also lead to freight cost savings because of the variety of offers. In addition, the administrative effort is drastically reduced as shipping documents are automatically created. Another start-up which offers similar services is the San Francisco-based company Fleet, formerly called Shipstr, which wants to become the ‘Expedia of cargo shipping’. A significant dynamic can also be observed in the market of benchmarking solutions for ocean freight rates. In the past, this was dominated by consultancies, such as the German company TIM Consult, based in Mannheim or the UK company Drewry in London, a maritime research consultancy. Several new providers popped up, such as Xeneta, a crowd-sourced ocean freight rate benchmarking provider located in Oslo, Norway. With all these solutions, more transparency in the procurement process is guaranteed. If also, best practice procurement processes and practices are developed (like from TIM Consult), a value-add for the shippers is created. Another excellent example of improved processes is the New York Shipping Exchange (NYSHEX), an innovative exchange portal created to reduce the uncertainty for shippers in the volatile spot market. Via this platform shippers can compare freight offers, buy contracts, and execute their bookings. Rolf Weise: Container Logistics. The Role of the Container in the Supply Chain. Kogan Page. 2018. Whilst the maritime container business has been studied in depth, the impact on shippers and how shippers deal with the given challenges has not been fully examined. Container Logistics bridges this gap and looks at the maritime business from a customer's perspective. 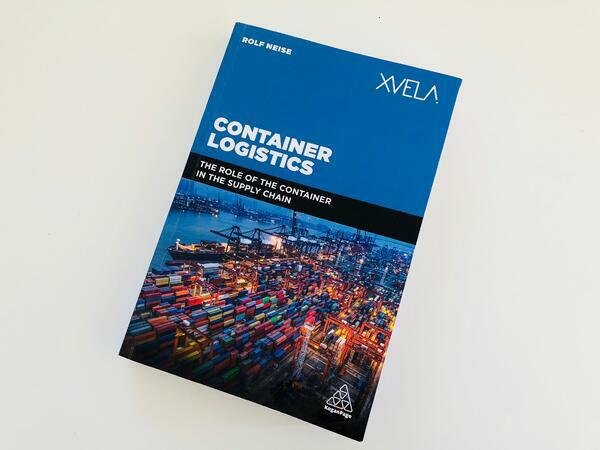 The book examines the challenges, solutions and the latest developments in the container industry as well as the interaction between the different actors involved, such as freight forwarders, supply chain managers and shippers. Current hot topics from the supply chain and the maritime business perspective are included.